This SQL instance collation is not supported. Please select a SQL server and instance with a supported collation. Please see the deployment guide for supported collations. The "Enable SSL" selection and SSL configuration for the web site do not match. If you select "Enable SSL", the web site must be configured to use SSL. If you do not select "Enable SSL", the web site must not require SSL. The product began as a network management system called SeNTry ELM, which was developed by the British company Serverware Group plc. In June 1998 the intellectual property rights were bought by Mission Critical Software, inc who renamed the product Enterprise Event Manager. Mission Critical undertook a complete rewrite of the product, naming the new version OnePoint Operations Manager (OOM). Mission Critical Software merged with NetIQ in early 2000, and sold the rights of the product to Microsoft in October 2000. It was renamed Microsoft Operations Manager (MOM) and had another release as Microsoft Operations Manager 2005. Microsoft renamed the product System Center Operations Manager and released System Center Operations Manager 2007. System Center Operations Manager 2007 was designed from a fresh code base, and although sharing similarities to Microsoft Operations Manager, is not an upgrade from the previous versions. 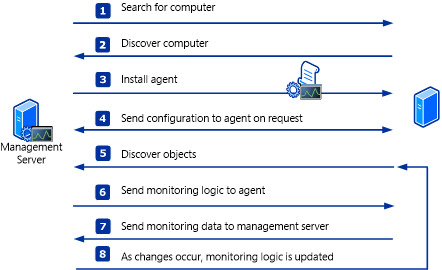 Using Operations Manager in the environment makes it easier to monitor multiple computers, devices, services, and applications. The Operations console, enables you to check the health, performance, and availability for all monitored objects in the environment and helps you identify and resolve problems. The role of the management server is to administer the management group configuration, administer and communicate with agents, and communicate with the databases in the management group. 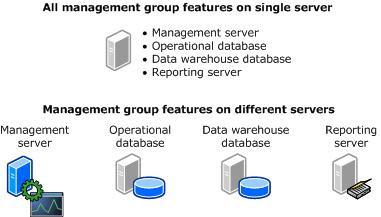 When two or more management servers are added to a management group, the management servers become part of a resource pool and work is spread across the members of the pool. When a member of the resource pool fails, other members in the resource pool will pick up that member’s workload. An Operations Manager agent is a service that is installed on a computer. The agent collects data, compares sampled data to predefined values, creates alerts, and runs responses. A management server receives and distributes configurations to agents on monitored computers. Management servers also run the System Center Data Access service and the System Center Management Configuration service. The System Center Data Access service provides access for the Operations console to the operational database and writes data to the database. The System Center Management Configuration service manages the relationships and topology of the management group. It also distributes management packs to monitored objects. The workflows that the System Center Management service runs are defined by management packs. Management Pack contains rules and monitors that collect and evaluate events and operations that are important to ensuring the health and efficiency. 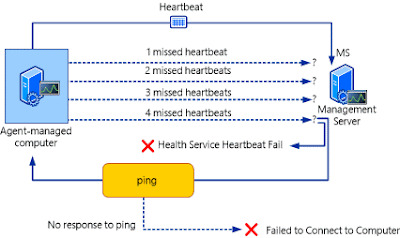 A rule defines the events and performance data to collect from computers and what to do with the information after it is collected. A simple way to think about rules is as an If/Then statement. Rules can also run scripts, such as allowing a rule to attempt to restart a failed application.